Secondly, the keycaps on the Matias-branded boards seem to be nicer than those included on this board. The lettering on them is also very tiny compared to the Matias keycaps, and started to fade very shortly after I got the keyboard. Perhaps one of the alternate keysets offered here would have improved that aspect of it; I decided, however, to get to know the switches and try to tune out the aspects that I didn't like. In short, it's a nice board, but it doesn't seem to have the premium feel that I was hoping for. I do like the traditional TKL layout (which, it is important to note, Matias does not offer) but, at least for me, that seems to be the only advantage. I was stepping away from a KUL-87 blue cherry mx to this board with Matias Clicky's and I have to say there is a /massive/ difference in quality all the way around. . .
To begin, the KUL uses very premium feeling plastics and has some small flourishes that make it very nice looking and heavy enough that I never worried if it'd get damaged living life in my backpack (in a neoprene sleeve), but the KBP is a huge, huge step down on all fronts in that regard. The plastics feel thin and cheap, the board is light and it just doesn't feel solid at /all/ by comparison. The braided cable they include is nice, but it doesn't stick in the cord trench and every time I pull it out, I have to stuff it back in. Add to this the cheap feeling keycaps and lack of available alternatives, and it's just a hot mess. Despite costing 30 dollars more, this board feels like someone's home made kluge. I can't recommend it on that front. If this thing survives 6 months in my bag, I'd be surprised. That said, the typing experience is /vastly/ superior to the KUL. The Matias Clicky switches come down sharply, push back up against your fingers nicely and have a wonderfully resonate sound. 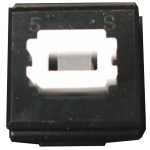 They're smooth and luxurious compared to the Cherry MX switches and just a half step down from my beloved Model M. They're not /quite/ as smooth as that monster, but they're definitely my second favorite mechanical switch behind buckling spring. In this form factor, the mobility is perfect for my needs and the typing experience is (for me) mostly worth the cost of admission. But if I had it to do over again, I'd have gone hunting for a PCB, bought the switches and just put it all in the KUL case. A final, more nitpicky issue is the lack of keycap options, since these things are going to wear poorly, but that's just part of the package that comes with using Alps. Definitely not my favorite keyboard ever, but definitely my favorite key switch in a TKL board! I really, really want to love this keyboard. But I don't. These keys have SERIOUS chatter problems. It will happen to you if you buy this board. For the entire time I've had this board it's been a constant problem. They normally go away with time, but some haven't. In addition, my backspace key stopped registering after 6 months. The keys are SO quiet, which is great for office use. The QA on these boards is beyond terrible. Pro: This keyboard is very quiet, one of the quietest you'll find. The build quality of the chassis is good as you would expect in this price range. Con: Yes, these switches often suffer from chatter. I've experienced it in a handful of keys on mine so far. The good news is I've been able to eliminate the chatter in every case by opening the switch and cleaning the contacts. After fixing a few keys in the first couple of weeks I haven't had further problems. Bottom line: This is a mostly good keyboard with one glaring flaw. If you really want a quite keyboard (or ALPS SKBM pattern switches) and don't mind having to do some maintenance work then this may be the keyboard for you. If you want something that Just Works out-of-the-box then I don't recommend it. Great keyboard. The switches are tactile for satisfying typing, but quiet enough for office use. Some chatter on the "H" (and oddly) L-Alt. Some compressed air reduced the occurrence of the chatter. Seems to be a side effect of the MQC construction, rather than a flaw with the V80 itself. Keyboard is well built and has no flex, but good heft and stays put. 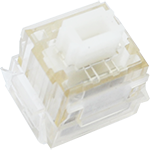 The ABS keycaps are thin and feel as if they'll develop a shine sooner rather than later, and the ALPS stem removes the chance for easy keycap swapping and customization. Would recommend, but I only wish good ALPS caps were easier to find. Keybooard started making doouble and triple keystrookes on some keys in two weeks since it was unboxed. I live outside of US, so for me it makes absoolutely no sense to spend extra mooney on pooostal service too return it, because it will cost me as another keyboard. PS: all mistakes in this review made by this keybooard. This is an insanely good keyboard, the tactile feeling is just light years ahead of cherry MX switches. Build quality is very good, aluminum base makes very sturdy. Key caps are pretty good as well, much higher quality then what it shows on the picture. There is only one down side. The switch for the enter key is located on the left side of the key, so if you press the enter on the right side, it feels like it's stuck and difficult to get it to actuate. But I have to say again, the white fukka switches are a breeze to type on, I am in love!! 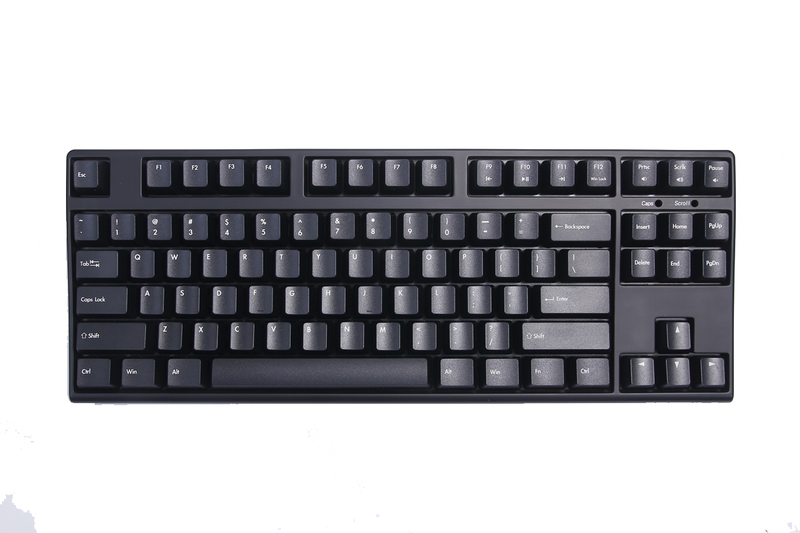 Hopefully mechanicalkeyboards.com will stock some V80s with the matias clicky switches, I am sure those are great as well. I bought the V80 with Matias Quiet Linear switches. I've used Cherry Blue, Red, Brown, and Matias quiet click before picking this one up. And in all honesty, it is a pure joy to type and game on. The Matias linear switches are like Cherry Red without the strain. The keyboard itself is constructed quite decent. All the necessary buttons are present. The stands are quiet sturdy and frictional to prevent any sliding. 1) The stand has a tendency to slide forward if the legs are raised and fold back in. 2) I wish the WIN key was a logo instead of actually saying "WIN". 3) Sort of wish they put LED in this one, but not a necessity imo. Makes a great donor board for Alps projects! Love the layout and design of this TKL keyboard. The Matias Linear switches are a joy and are quiet enough for office work. Love how light the touch is on this model. Very well built ten key less board. Paired with the Matias Quiet Click switches and you have a wonderful typing experience. 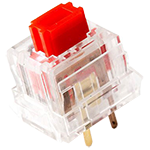 These switches are extremely smooth and the actuation is just right. Feels very close to a cherry MX clear without the tactile bump. Very nice keyboard, but the Caps/Scroll Lock LEDs bright! Turn them both on and it's like someone coming down the street with their highbeams on! Product arrived one day ahead of schedule. I'm happy with the feel of the ALPS switches, very stiff and tactile. Louder and "meatier" sound compared to a Cherry-style switch Takes the same force to push as a Cherry MX Green. All in all, I've very happy with this keyboard, for $109, this board is well worth the price. Only major complaint is that the space bar stabilizer is squeaking really loudly. It's annoying me. That can be fixed quite easily though. If it wasn't squeaking out of the box, I'd definitely give it 5 stars.